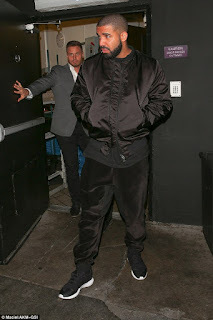 Pics: Drake parties with Serena Williams lookalike ~ CK Jacob: Nigerian Fiction And Lifestyle Blog. Drake partied with another woman on Sunday evening. The 28 years old rapper was pictured heading to trendy Hollywood Hotspot. Drake and the woman went together. I hope there's no trouble in paradise.